Have an emergency? Click here to contact our emergency response team now! Deliver the best quality to our customers; every time. 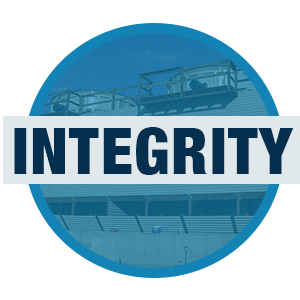 Perform the services our customers need, always with integrity. Perform these services at fair and reasonable price. 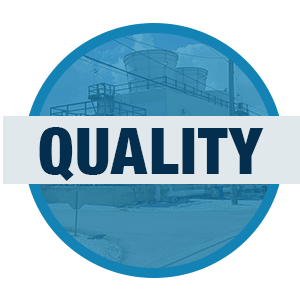 Cooling Towers of Texas provides comprehensive and thorough inspections of wood, fiberglass, steel and concrete cooling towers. If you are in doubt about the soundness of the structure of your cooling tower then a thorough inspection and a structural analysis may be needed. Cooling Towers of Texas utilizes the highest quality pressure treated Redwood lumber, Douglas fir lumber, plywood, fiberglass and stainless steel hardware in performing repairs. Use of quality materials along with competent crews and professional installation ensures the structural stability of your cooling tower while greatly extending its service life. Mechanical platforms provide access around mechanical equipment during maintenance and mechanical repairs. These platforms also prevents the need to constantly install and remove costly scaffolding. 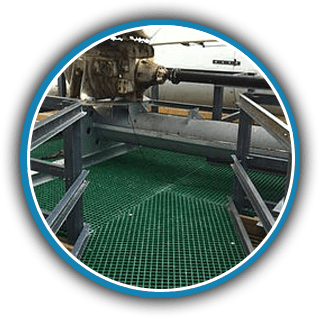 Our platforms are constructed of corrosion/rot resistant FRP components. Cooling Towers of Texas provides all necessary services for designing (thermal and structural), procuring, and installing new cooling towers. We also offer both packaged towers for commercial applications as well as field-installed towers for larger, industrial applications. I am proud to introduce you to the latest and greatest in cooling tower repair, upgrade, and maintenance. Cooling Towers of Texas is a young, strong and driven company headed by employees with values that reflect the company’s mission statement. It is our goal to provide superior quality and service at fair and reasonable prices to all our customers. 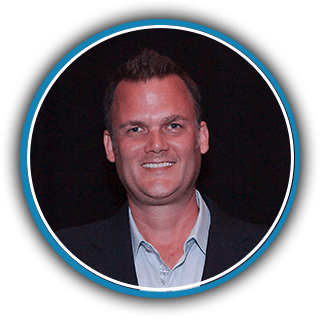 Our management team has over 100 years combined experience and our crews are the most competent and qualified in the industry. 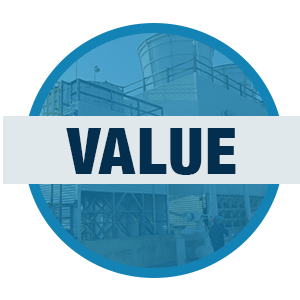 For all phases of cooling tower construction, repair, maintenance, or performance upgrades, Cooling Towers of Texas truly is the one source for all your cooling tower needs. Our clients include Major Manufacturing and Process Plants, Refineries, Hospitals, Petro Chemical, Universities, Co-Generation facilities and Commercial Buildings. We have a reputation of excellence, reliability and superior customer service. We would like to demonstrate to you that true quality workmanship is second nature to our crews and management team. We look forward to servicing your needs!